Home Big Opinions It’s Broken! Fix It! When you see a storm brewing outside, when those heavy bellied purple clouds are stacking up, and the lightning is flashing continuously as the thunder gets louder and louder, closer and closer, you would be a little silly not to get out of the open air and under cover. You certainly would not set up your camp-chair in the middle of a dry river bed so that you can get a close-up view of the flood when it comes. Unless, of course, you are one of Sanzaar’s administrators……. They simply do not notice that there is a storm brewing. Or, if they did notice the gathering clouds and hear a bit of thunder, they would suggest it had nothing to do with them. It is time for Sanzaar to sit up and smell the coffee! There is a massive storm brewing, and it is all about the Laws, the referees and their supporting cast of assistant referees and TMOs. During 2018 the standard of refereeing and officiating appears to have slipped to the lowest level ever. Perhaps the first issue that must be spoken of is the match officials simply missing some of the most obvious mistakes, especially moments of foul play and off-the-ball interference. This past weekend has seen Australia in an uproar after Crusader prop Joe Moody smashed his elbow or forearm into Kurtley Beale’s throat. It was a clear and obvious foul. Somehow all four match officials missed it. Referee Ben O’Keeffe missed it. Assistant referees Jamie Nutbrown and Paul Williams missed it. Three New Zealanders who missed the foul play. So did TMO Aaron Paterson, an Aussie. Quite how they missed the incident is beyond understanding as it happened in the split-second before the self-same Moody received the ball and scored a try. The Citing Commissioner saw it and, rightly, cited Moody for his action. Moody has received a two-week suspension for the indiscretion. Which brings about another question: Disciplinary chairman Nigel Hampton QC, another New Zealander, reduced Moody’s suspension from the World Rugby recommended four weeks to two weeks because of his “excellent judicial record, good character and guilty plea at the earliest possible opportunity”. I have sounded off about this issue of reducing sentences for “good character and an early guilty plea” before, it is an aberration unique to Sanzaar’s judicial system! I will, however comment about Joe Moody’s “excellent judicial record” – In September 2016, after a similar citing and judicial review, Joe Moody was given an official warning for a nasty head-high tackle on Argentina’s Guido Petti. Two months later he was yellow-carded for an appalling spear tackle on Ireland’s Robbie Henshaw. Many thought it should have been a red! Do these constitute an excellent record? The real issue, however, is not the silliness of the sentence given to Joe Moody and the obfuscation of mitigating factors. The issue is how on earth did the match officials miss the foul play? I can, perhaps, forgive the referee, he might have had his eyes on the ball carrier and nothing else. But what about the two assistants? And what about the TMO? The latter is paid to sit in the comfort of a special private box and look for incidents precisely like this one! He is paid to review the try, even if the referee did not call for a review, and he has the authority to call a “check” on any foul play. It is his job! And he did not do it! I have said elsewhere that I am not in the business of “what iffing” games and results. But if Moody had been sent off, as he should have, and the try disallowed, the Crusaders fightback might well have had another flavour altogether! 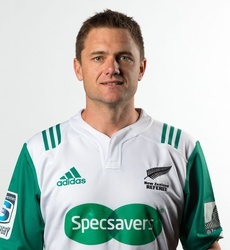 Before I move off this game and referee Ben O’Keefe, I have to ask another question: How did he miss the 52nd minute side-entry no arms clean out by Scott Barrett on Ned Hanigan? It was right in front of him, no more than 2 meters from him, in his direct line of sight. And he missed it? Hanigan will be out of the game for up to five weeks due to an injury sustained in that very moment, and the referee missed it? Once again, where was the intervention by TMO Aaron Paterson? Not that the intervention of a TMO necessarily results in correct calls! Just three weeks ago, and the 28th April The Brumbies were playing the Crusaders. 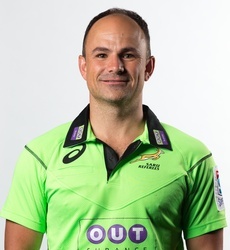 South African referee Jaco Peyper was in charge, his Assistant referees were Will Houston and Jordan Way, with George Ayoub as TMO. All three the latter are Australian. Israel Dagg, just coming back into rugby from a serious injury, was knocked into La-la Land by the swinging arm of Chance Peni. An arm that smashed into his face in an obvious, dangerous, high tackle. If ever there was an definite red card, it was in that incident. (Peni was cited and subsequently banned for 5 weeks by the judicial committee.) Referee Peyper called for the TMO to replay the incident and offer advice. The match officials then viewed the incident several times on the big screen, as did we, the television audience. There was no doubt that it was high, illegal, and dangerous to boot. Somehow, Peyper agreed with TMO Ayoub that there was “no excessive force” used. A yellow card was issued. Peyper even muttered something about starting low and slipping up! Dagg went off for a concussion test, also having re-injured his troublesome right knee as he fell to ground. His career as a rugby player may well be over. I have to ask the question: How was this high, swinging arm, dangerous tackle that knocked a player out not considered to have been “excessive force?” Should Peni have used a gun? I would suggest that the match officials’ misjudgement of this one was an act of sheer incompetence! The two incidents I have mentioned thus far are simply the visible tip of the iceberg. During the last number of weeks we have seen refereeing incompetence and what appears to be obvious bias on numerous occasions. When the Bulls lost to the Highlanders three weeks ago, it was again Glen Jackson’s performance that was called into question as he appeared unduly lenient towards goal-line indiscretions by the likes of Lima Sopoaga. His 50/50 calls all favoured the visitors from New Zealand. Some of the calls seemed to be clearly biased! “It was with that eerie sense of déjà vu that I watched Glen Jackson’s repeat performance this weekend. The level of errors by a supposedly international level referee is quite astounding. Once again, the offside line was a mere rumour, a vague suggestion as to which side of the gain line a team was supposed to inhabit. Watching players swim around rucks, enter rucks and mauls from the wrong side, and deliberately take out the half-back is frustrating, at best, and infuriating at all other times. Watching players “clearing” fringe players behind and beyond rucks is just wrong. And then there were the critical decisions, the game changers, that were simply wrong. In the 70th minute a clever chip through bounces close to the Highlanders 5m line. Lima Sopoaga goes down on the ball to recover it, Marco van Staden is all over him, and earns the penalty for Sopoaga holding on to the ball on the ground. If the Bulls had secured that ball a try scoring opportunity was there for the taking. Professional foul? Maybe, maybe not? In the 72nd minute Jaco Visagie charges for the line and is held up right on the goal line. The same Lima Sopoaga is penalised for playing a) the ball off his feet, b) being offsides, and c) not releasing the ball. I am not sure which one of the transgressions Glen Jackson actually saw, but he did award the penalty. The real issue is that Sopoaga had just committed a series of cynical, professional fouls. He has prevented the Bulls from getting a quick recycle and prevented a clear scoring opportunity. And this second incident is a clear Yellow Card incident! Jackson did not even consult his Assistant referees nor ask for clarity from the TMO. He simply awarded the penalty and ignored the professional foul. Moments later, Jackson got it very wrong again. He penalised Lizo Gqoboka for a side entry. This was simply and clearly the wrong call. The Bulls had counter-rucked the Highlanders off the ball. Gqoboka clearly came from behind the last feet to pick up the ball, which was lying in the open. It was a very poor decision by Jackson, and ultimately, the decision that cost the Bulls’ the game. The penalty pinned the Bulls in their half, defending their lead as the clock ticked away. Two weeks ago the Rebels played the Crusaders, and it was referee Nick Briant, yet another New Zealand referee, that earned the ire of the fans and media. He was card happy, dishing out cards as happily as he dished out scrums and lineouts. Reece Hodge was binned for a “deliberate knockdown” that was nothing of the sort. 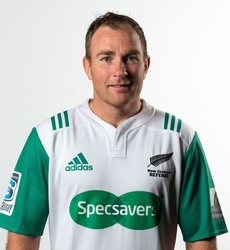 Matt Todd was binned for an innocuous tackle, reviewed by the overly officious TMO, and David Havili followed with his stint in the naughty chair for either a tackle from an offside position, or for not rolling away. Briant was not quite clear on why Havili had to be sent off. Briant did not have a good day as his decisions seemed to favour the Crusaders time and again. Some of the Aussie media used the word “biased” in their reporting. The self-same Lyndon Bray that was quick to criticise Ben Smith for preventing a goal kick as he asked for a try to be reviewed by the TMO! Smith was correct, and the try was disallowed, but Bray thought that Smith had overstepped the line in the sand that says the referee’s decision is final. The ref is right even if he was wrong! So Ben Smith was wrong, for being right, about a referee getting it wrong! Marius van der Westhuizen has been heavily criticised for ignoring off-the-ball incidents and avoiding obvious decisions that require immediate referral to the TMO. This has not been an isolated complaint, we have seen his lack of vision and unwillingness to consult on numerous occasions. This is also not a demonstration of bias, he has been equally blind to indiscretions when refereeing games involving two Australian teams! There are many issues with officiating at rugby matches. The bewilderment of the fans and supporters, the players too, at many decisions has become almost a viral infection. Many of the written laws are simply ignored by most of the referees, and almost every single one has his own interpretation of certain of the laws. And then there are the “Home-Made Laws” invented by referees that do not appear anywhere in the actual Law Book. The most obvious to even the least knowledgeable is the scrumhalf putting the ball into the scrum. Straight along the middle line. I have not seen one such scrum put-in in 2018. Most usually the ball is placed just inside the foot of the loosehead prop, mere inches from being under the lock’s feet! Another clause in Law 19 that is simply ignored is found in 19.4: Teams must be ready to form the scrum within 30 seconds of the mark being made. That little Law is simply ignored. Period. These “laws” include penalising a player for being lifted off his feet in a scrum, rather than penalising the man doing the lifting. Another regular penalty is for “pre-engagement” – a term found nowhere in Law 19. The plethora of penalties for “not competing”, “not staying in the contest” or “pulling back” and “walking around” are not found anywhere in the Law Book. Add in the number of penalties given for a prop’s elbow touching the ground, or for a knee going to ground under pressure from an opponent, or the like, and you must begin to wonder where the referee’s get their Laws from. These things are not mentioned in the Law Book issued by World Rugby! Law 19.37 dictates what is Dangerous Play or Restricted Play in the Scrum. That most important word is “intentionally” and I doubt of any of the current crop of referees can define it! There are plenty of issues with Super Rugby – A strange conference system that forces a double round of derbies and then an unequal amount of cross conference games, including far too much travelling. Fixture lists that take one team away from home for six consecutive games, but grant another team 5 home games on the trot. The double round of local derbies between fellow members of a particular conference have two marked results. Teams within conferences are more focussed on winning their local derbies, resulting in games with more physicality and bigger collisions than otherwise. The risk of injuries is some 30% higher in derbies than in cross-conference fixtures. The principle of Strength versus Strength applies unequally. The New Zealanders play each other regularly, and they have built on a solid foundation based on four strong teams, learning, absorbing, and growing. The benefits of playing Strength versus Strength improves the breed and flows on up into their national side. When two New Zealand teams clash, it is often a very high quality game. When two Australian teams clash, the games is often nothing more than a dour, boring arm-wrestle. Yet when they play New Zealanders the level of effort is often remarkably higher. South African derbies have started to change flavour and are becoming more entertaining in recent years, but the difference in styles between various franchises has hampered growth for a number of years, decades even. Super Rugby is supposed to be about the best in one country playing the best in another. It is not supposed to be about a host of local derbies! The whole competition is flawed. A bloated competition, with too many nothing games, too many fixtures, and simply too much rugby. We all know and understand that Super Rugby is flawed, but that is a subject for a different discussion. Right now our concern is the Match Officials and the Laws. The complicated structure of the Laws also allows individual referees to make up their own laws or interpretations often with undue influence on how a game is played. Which brings me back to the referees. During 2018 we have seen a plethora of yellow cards issued for such innocuous things as a marginally late tackle, or a tackle that starts on the chest and slips up as the ball carrier ducks into the tackle. Yellow cards are issued to those competing for the ball in the air, simply because they had not jumped high enough to catch the ball, and were thus “never in a realistic position to catch the ball” – whatever that means. We have seen cards issued for “deliberate knockdowns” simply where a payer’s hand makes contact with the ball as he comes in to make a tackle. We have seen yellow cards issued to front-row forwards who are being lifted off their feet by opponents. We have seen yellow cards issued for “too many” infringements….. The ease with which a referee reaches for the yellow card has become a blight on the game of rugby. The moment the yellow is produced, the game becomes an unequal contest. If the inequality was as a result of a clear and obvious infringement that is dangerous or very deliberate, I can accept that the offending team should bear the brunt of the sanction. But issuing yellow cards for innocuous infringements, accidental infringements, and for technical infringements that do not impact on the flow or result of the game? Come on referees, enough already! The offside line in open play is sometimes a mysterious thing, to the referee! The offside line at the ruck – the last feet of the last man in the ruck, is ignored more often than it is applied. Just this last weekend I had cause to comment about defenders standing at least a meter past the last feet, with no call or sanction by the referee or his assistants. The lack of focus on offside infringements is damaging the game as it contributes directly to slowing the game down and causing interminable breakdowns. Perhaps the single most boring, spectator killing, aspect of the modern game has to be the interminable resetting of scrums. Certain referees are worse than others in their pedantic insistence on space, angle, and all manner of other minor technicalities. Not one single referee lets the scrum set without some interference. It is about the space, and the spacing, the binding and the timing, the height and the feet, the hinge and the slip, with the referee breaking up a scrum to reset it on some whim. Another blight is the constant lecturing the front rows, which is more than a bit of a joke as not one single referee has ever inserted himself into a front row to try and learn about the forces and technicalities of that hugely difficult part of the game. The law says that the scrum must be ready to go within 30 seconds. I am not sure that any referee understands what 30 seconds means. At the moment each scrum in a Super Rugby game takes up to three minutes to be set, reset, reset again, consult, lecture, rebind, reset and then for the ball to be put in. The pedantry of some referees about who must bind where and do what is beyond a joke. As long as the scrum stays up, or the ball becomes available, let it go, for heaven’s sake, let it go! The modern ruck is already a blight on the game of rugby. In the ideal world, it is a quick ball on the ground and recycle or turnover. In the real world it has become the never-ending pile-up. The result of constant short charges into contact and onto the ground. I have referred to it as “bumper-car” rugby. Boring, soul destroying mechanical repetition for no purpose whatsoever. There are two issues that needs to be resolved by the referees. The modern defensive system is designed to get your players into the attacking player’s space as quickly as possible. When this is assisted by poor or negligent policing of the off-side law at the ruck, it makes for a static game of rugby. The last thing anyone will willingly pay money to watch! 2. One of the most aggravating aspects of the game is the number of loiterers in and around rucks. In clear contravention of Law 15.8 players who are not bound to the ruck continue to stand alongside the ruck, or beyond the ruck itself, clearly obstructing defending players and interfering with running lines and the ability to counter-ruck. And then there are those who go over the man who took the ball into the ruck, and then go off their feet, lying on whomsoever is beneath them, sealing off the ball, and waiting for the referee to blow his whistle again. The interminable consultations between referees and TMOs; with requests for other angles and replays at different speeds, has become another blight on our game. Instead of speeding up the game, and the concomitant enjoyment of the spectators, it seems that the referees are intent on slowing things down as much as possible. This has to change! Rugby is governed by a set of written Laws (plus a couple of others the Referees have made up all by themselves) and it is surely incumbent of players and coaches to be completely conversant with those Laws? Why then must the referee constantly remind players of their status on the field? If a player chases a kick from an offside position, penalise him, don’t warn him! If a player shoves his hands into the ruck and looks up at the referee with raised eyebrows to see if the referee is going to allow his intrusion, shut up and blow the whistle. If a player is swimming up the side of the drive or maul, penalise him! Stop telling him to go away! Players are not idiots, they will quickly learn to play according to the Laws and not according to some shifting envelope allowed by the referee! World Rugby has gone this route with Test rugby. Many countries have adopted this approach for the important games in their local premier leagues. It makes perfect sense. There is no need to debate the issue. It is undoubtedly the only way to make appointments. Why then has Sanzaar gone out of its way to be different? There are 3 Australians, 1 Japanese, 1 Argentinean, 7 New Zealanders and 5 South Africans on the Super Rugby referees list. 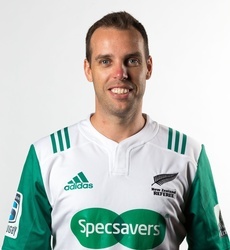 Why is a New Zealander sent all the way from New Zealand, to referee games involving New Zealand teams, in South Africa? Why do we not see one of the three Aussies or the Argentinean or Japanese referee appointed for such games? It cannot be the cost! Flying a referee from New Zealand costs as much as flying in a referee from Australia or Japan. 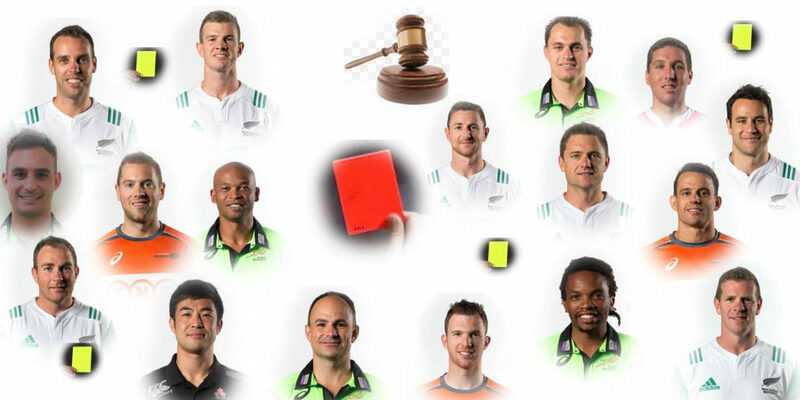 Why not come to an agreement with World Rugby and start using some of the international referees from the northern hemisphere? It is broken, fix it! The system is broken, Sanzaar, and you need to fix it! SANZAAR says it has no concerns over the current state of refereeing in Super Rugby, despite complaints seemingly pouring in from all quarters after every weekend. This past weekend, the Stormers, through their Director of Rugby Gert Smal, voiced their disapproval referee Mike Fraser after their 15-9 loss to the Chiefs at Newlands, saying they would take the matter up with SANZAAR’s Game Manager, Lyndon Bray. However, New Zealand’s Fraser has already been awarded this weekend’s clash between the Sharks and Chiefs in Durban. The Stormers and Sharks – through coach Robert du Preez and the Bulls through John Mitchell – all had something to say about the officiating this past weekend. Sport24 got hold SANZAAR to ask them how they viewed the current quality of refereeing in the tournament – and the response was that there was nothing wrong at all. “As far as SANZAAR is concerned there is no issue whatsoever with match officiating. We have no need to issue a statement on officiating,” a SANZAAR official said via e-mail. “We have a very professional team of referees that are selected from the best officials from the national unions. “There is also a very professional and robust system in place for the selection and management of match officials. “That system is discussed at length with teams and coaches and reviewed every year. SANZAAR also invited franchise coaches to keep providing feedback to the tournament’s governing body. “As for individual matches the coaches have the ability to provide feedback to Game Manager Lyndon Bray each week,” the SANZAAR official said. Not a great “Read” but an accurate account. The question is – who is calling the shots? Is World Rugby trying to make Rugby Union competitive with other sports or is this on the instruction of SANZAAR? I watch a lot of NH rugby and the refs blow a different game. That said, some of the player habits are similar. The shovelling of the ball into the second row at the scrum is a stark common occurrence. It also seems that AR does little by way of assisting in regard to the offside line. It seems to me that the soul of our sport is being sold to sponsors of TV viewing. The fans are suffering and this is the irony as it is they the sponsors are trying to please. The entire Law Book needs a complete revisit, coupled to a healthy dose of logic! And the inout must come from players and ex-players, not just referees. When the refs gave their input on the scrums post-’95, they neutered the scrum and ended up with the bugger’s muddle we have today.